The reputation of Ordiz Melby Architects (OMA), a firm that has been delivering award-winning projects for more than 25 years, is well-established. This type of prestige comes from a strong foundation of practical knowledgeas well as an open-minded approach to the role of technology. I had an opportunity to speak at length with Jeannie Bertolaccini, OMA principal. She explained that the firm has always had its eye on how technology can improve their process and profitability. 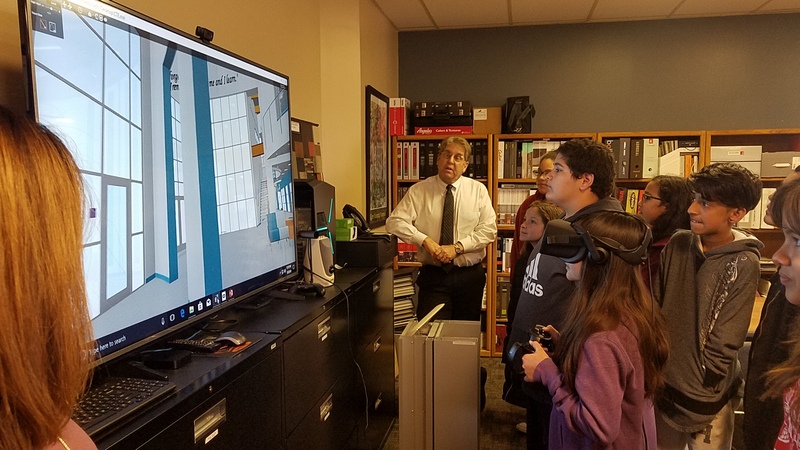 Ten years ago, when the firm adopted BIM, they chose ARCHICAD as the cornerstone of OMA’s process and workflow for multiple reasons, not the least of which was the software’s ability to work well with other industry standard products. Technology continues to play a role in the firm’s forward motion from a business perspective as well. OMA takes advantage of regular ARCHICAD webinars and training. OMA has been able to participate in the unique offering from GRAPHISOFT known as the Virtual Roundtable which can provide highly focused insight and direction for firms like OMA, who are always looking ahead. OMA uses that knowledge to fuel their efforts in making their models as smart as they can be. Compatibility with well-known 3rd party add-ons factored in as well. Perhaps the most important feature of ARCHICAD remained its ability to coordinate and resolve conflicts early on in a project’s life cycle. The importance of working in BIM from the outset cannot be understated for OMA. As Bertolaccini tells us, it has set the firm apart from its competitors. Applying BIM to the workflow at OMA had impact on the profitability, efficiency and client satisfaction on three notable projects of late. 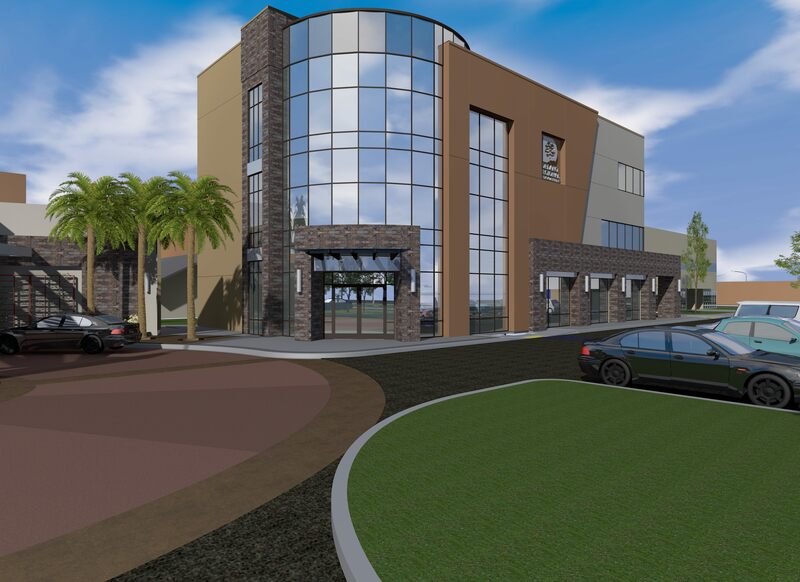 The Delano Regional Medical Center Outpatient Facility which opened just 6 months ago presented many challenges that ARCHICAD helped the OMA team address and overcome. 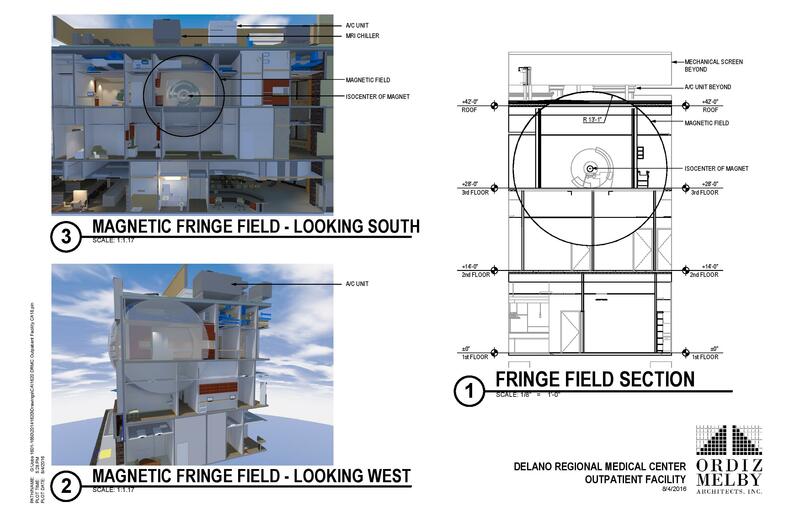 Their task was to design a 3-story facility capable of housing all necessary medical equipment and do so on a very small footprint. OMA had to address a concern over the fact a 3-story building would stand out on the medical center’s campus since the majority there were one and two-story structures. Medical facilities typically have services that need easy public access on the first floor. But there needed to be space enough for MRI, Nuclear Medicine and CT. Choosing to put those modalities on the 3rd floor was atypical, but OMA found a way to make it work and the model helped make their vision clear to their client. The model was also used to show the magnetic fringe field to display the radius of the safety zone around the MRI machine. 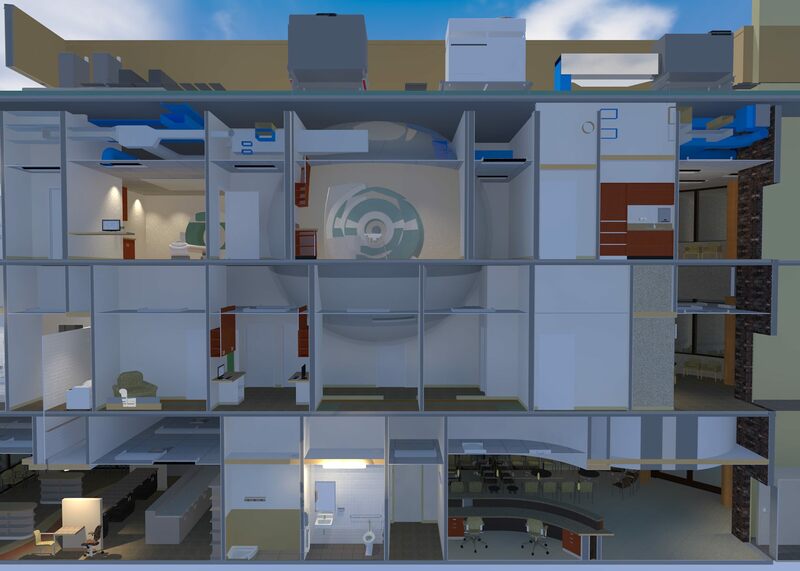 The use of BIM assured that the extensive exhaust and duct work required by the radiology equipment would fit within minimal attic space as well. 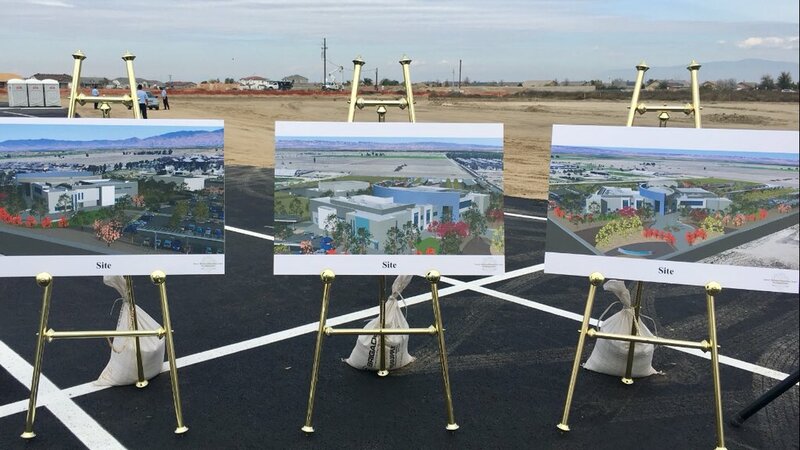 OMA worked on the design for the Kern High School District Career Technical Education Center, which is currently under construction. 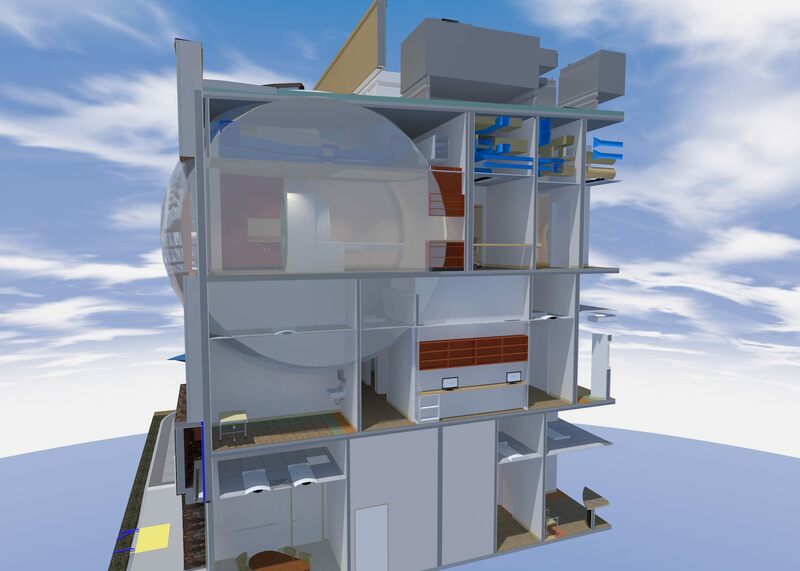 Knowing how beneficial BIM would be to this project, they used TeamWork (a cloud-based collaboration system within ARCHICAD now known as BIMcloud) to work remotely with Valencia-based Inertia Engineers, who modeled structural in ARCHICAD. 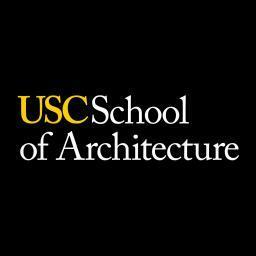 The mechanical consultant used Revit, so OMA relied on IFC to import their file into ARCHICAD. The process worked well. Once again, the fact that OMA invested in technology early on, paid off during their work on the CTE building. 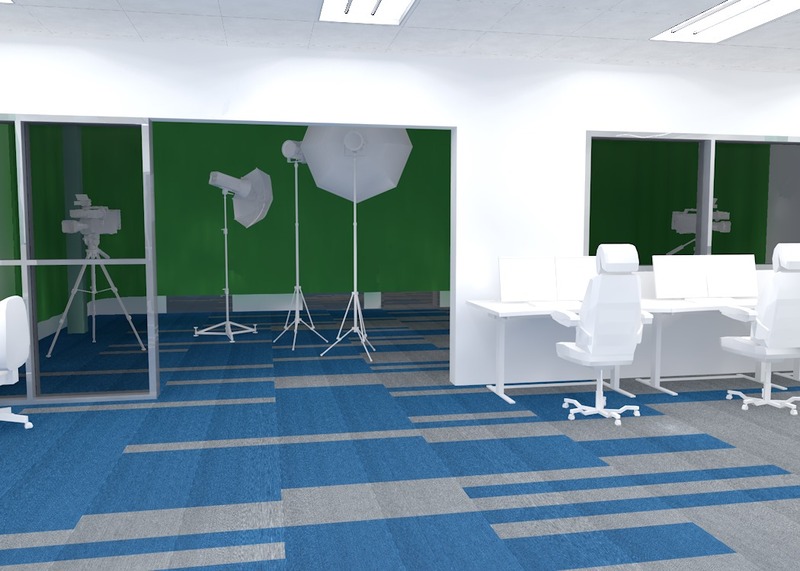 With so many career pathways being taught, every room is unique – down to the carpet patterns. Using a variety of custom surfaces and JPEGs– allowed them to show the client the fun and creative interior finishes. 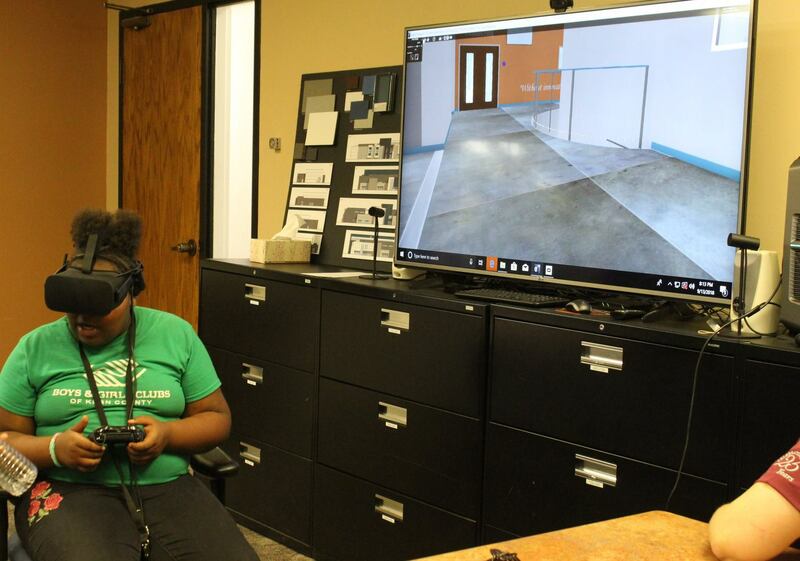 The addition of VR capabilities proved worthwhile from a design decision standpoint. In fact, it played a role during work on the Technical Education Center. During project meetings OMA showed the design via BIMx. The tech center houses numerous career pathways – each with a different specialty, each with its own color scheme. There were constant changes even during the CD phase, but OMA was able to meet the client’s expectations using the ARCHICAD model. 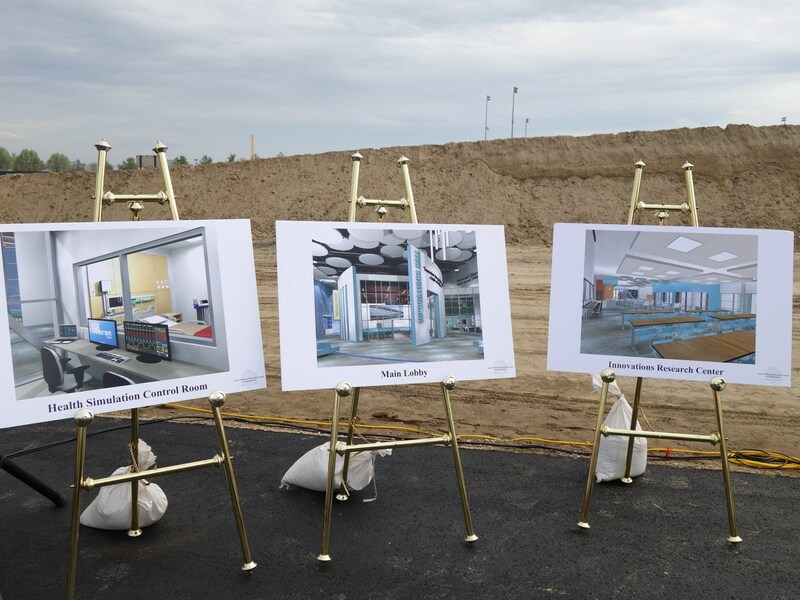 For the school’s groundbreaking in March, OMA supplied renderings of almost every room – about twenty rooms total.